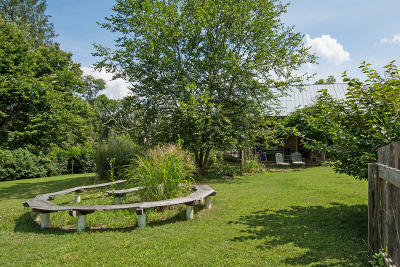 An Artist Haven. The property is the creation of 2 incredibly talented artists. 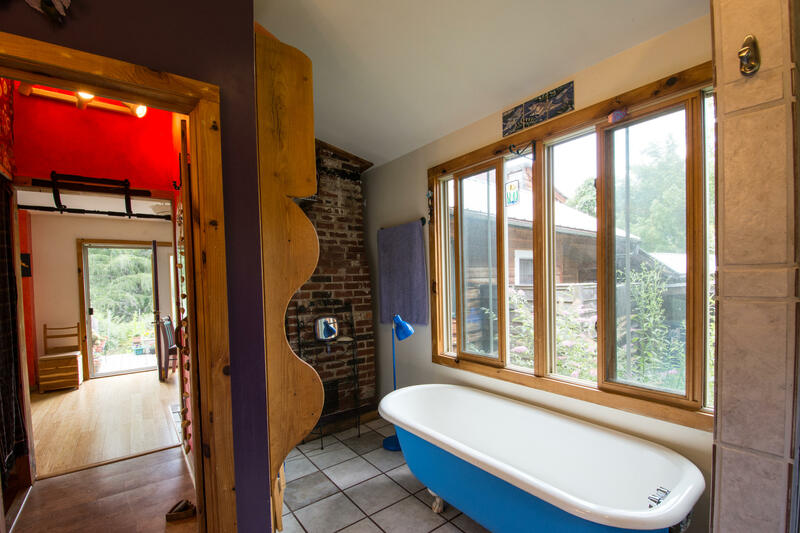 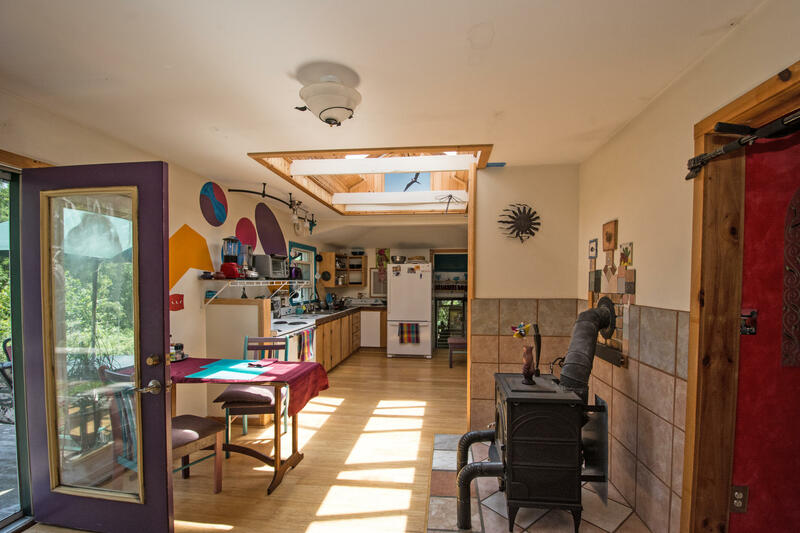 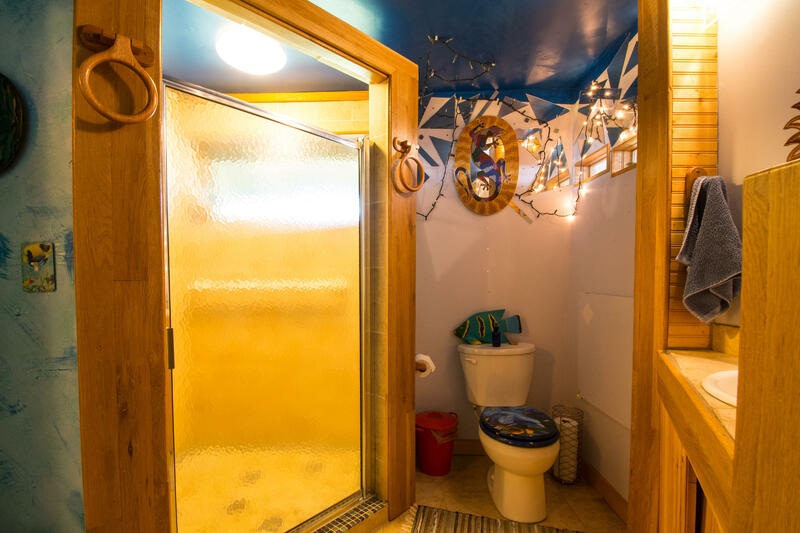 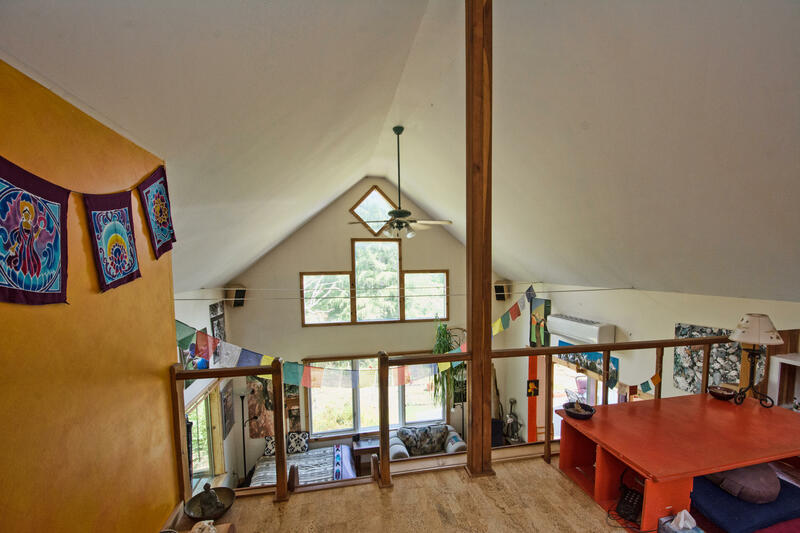 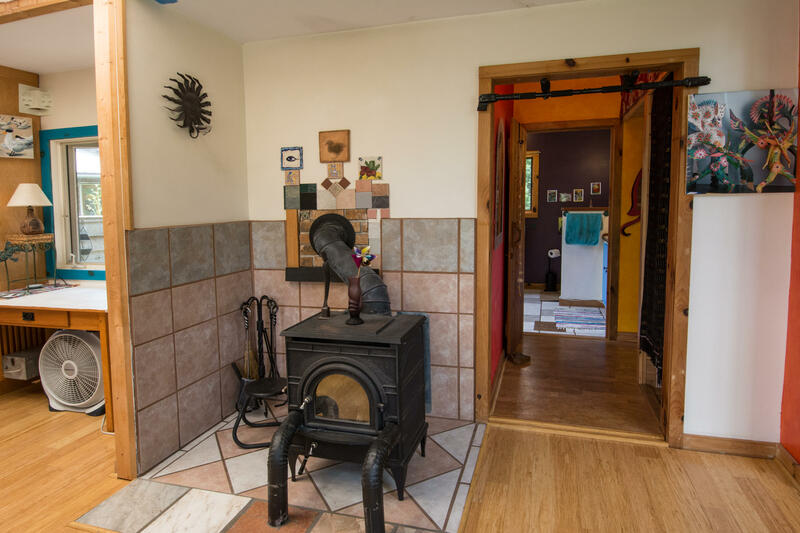 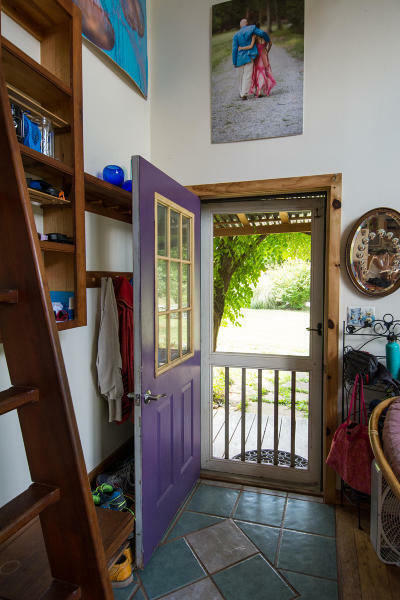 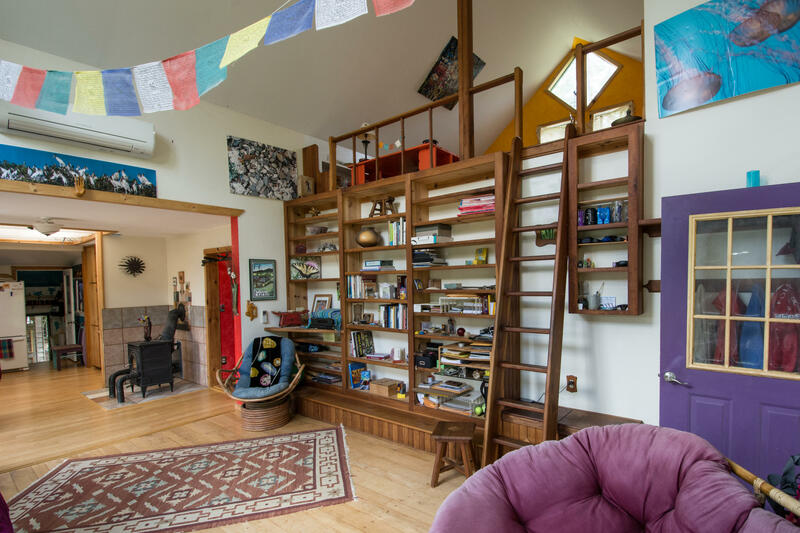 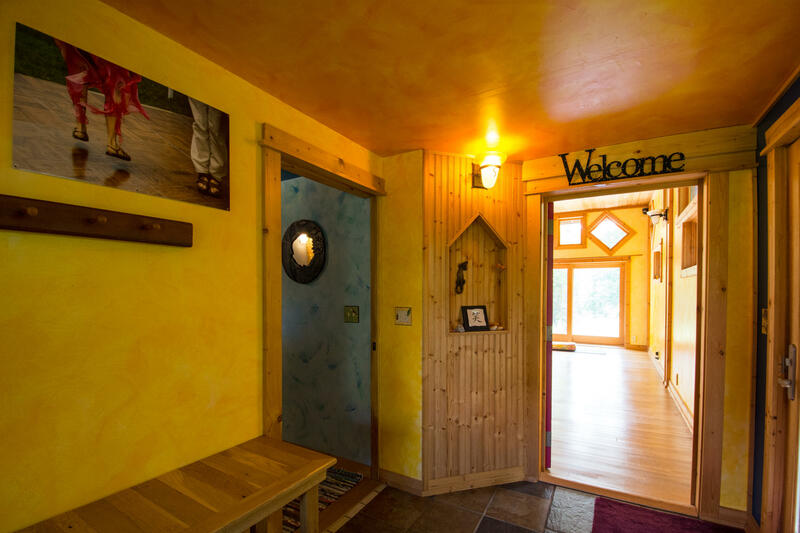 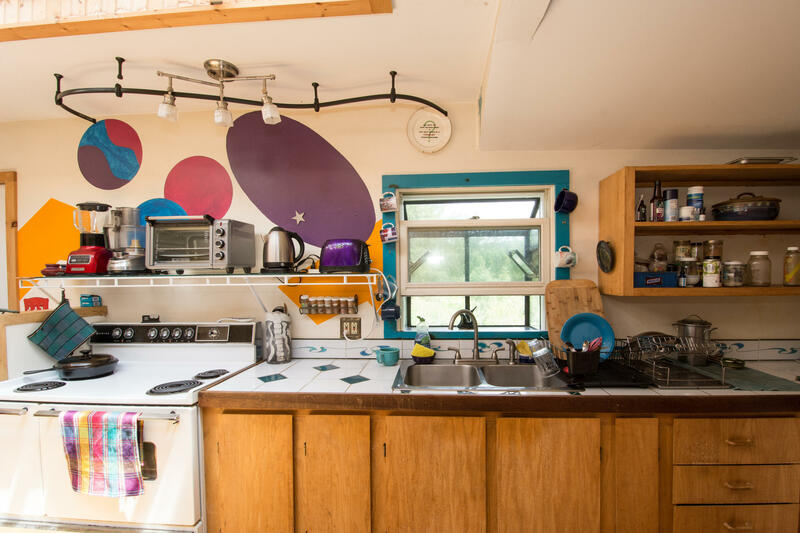 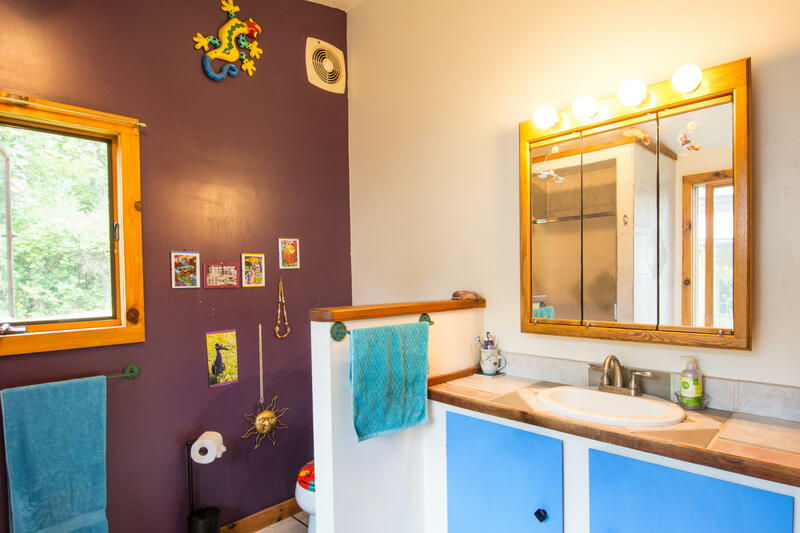 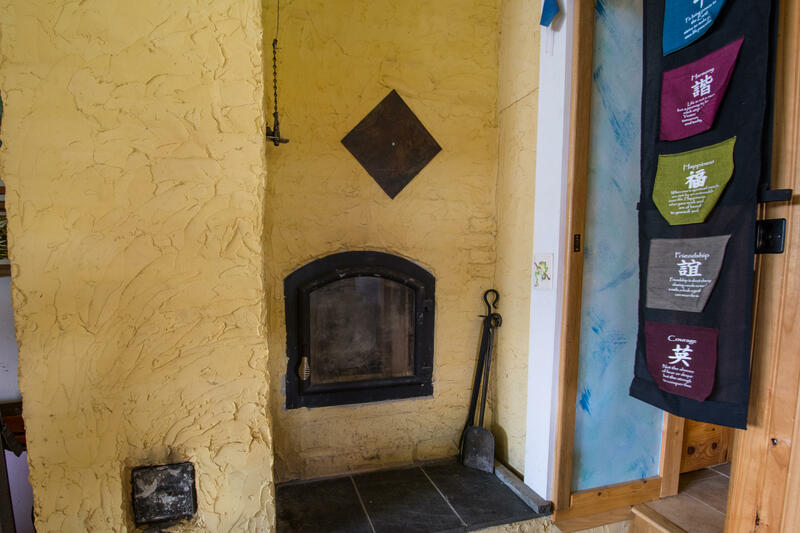 House is ~1,110 sq ft. designed with open floor plan spanning the living, dining, & kitchen areas; 2 BR, one is a loft; 1 bath with tile shower, clawfoot tub; great decks. 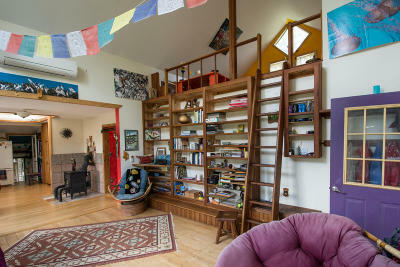 New Mitsubishi heat/AC units. 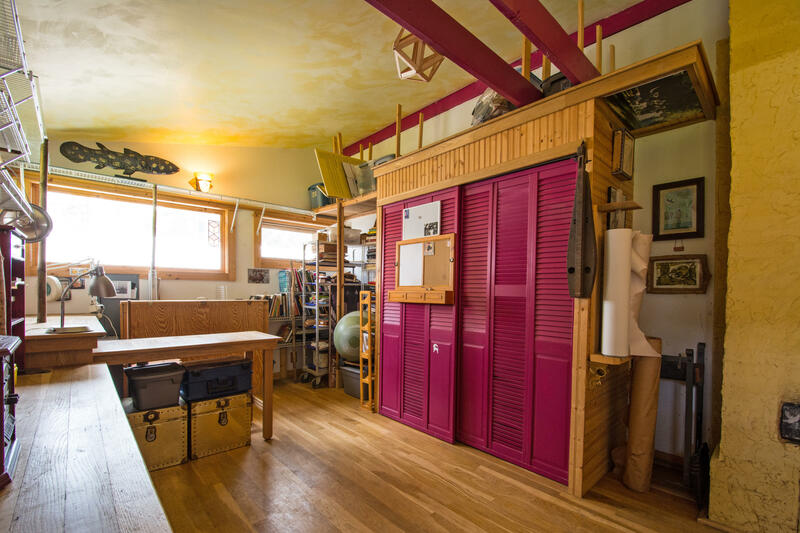 The ~1,300 sq ft second building features a 822 sq ft south-facing studio with 15 ft ceilings; foyer; guest room/office; bathroom. 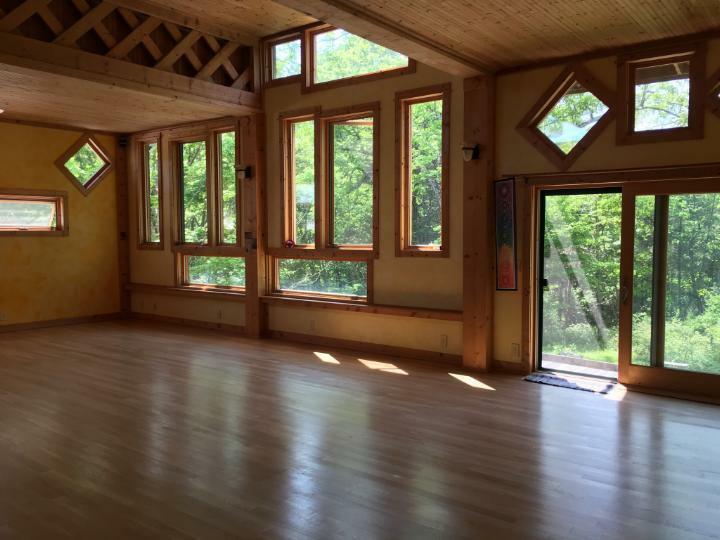 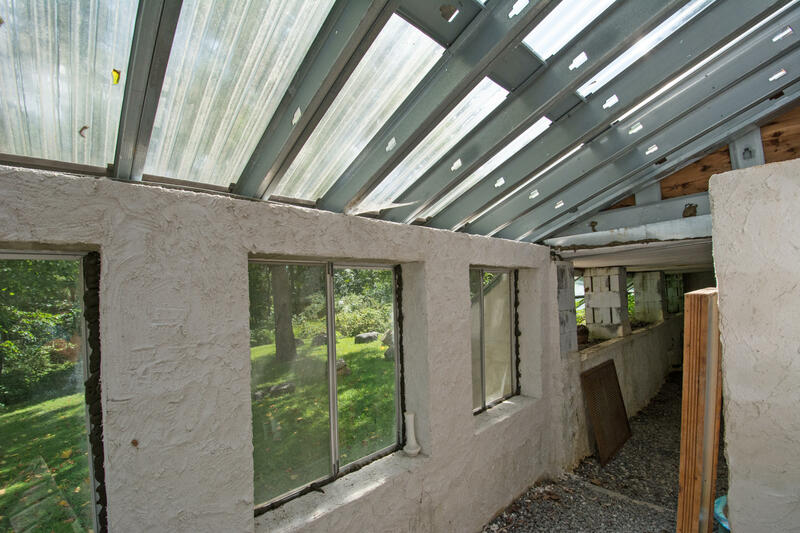 Both dwellings are light-filled with large windows. 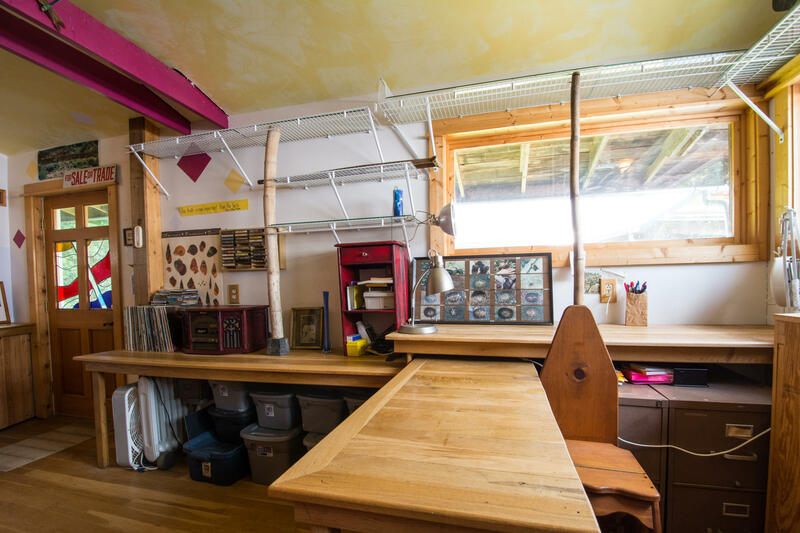 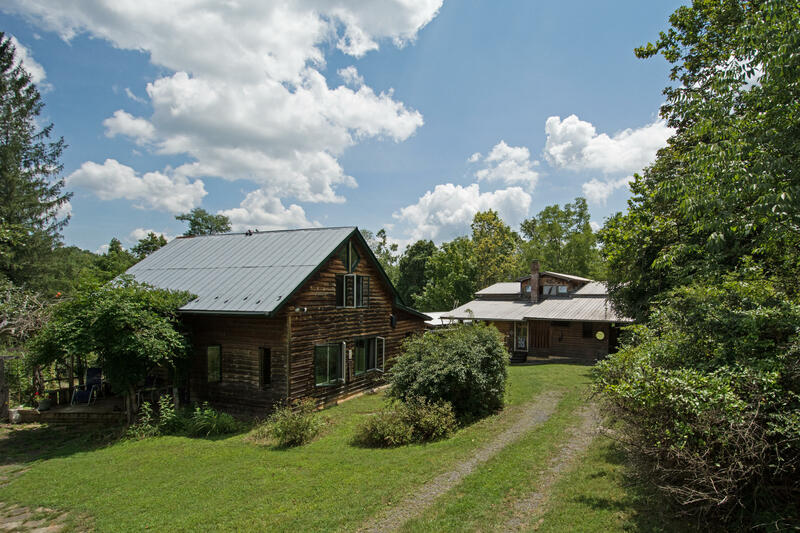 Property includes ~4,000 sq ft of connected workshops, storage areas, & greenhouse. 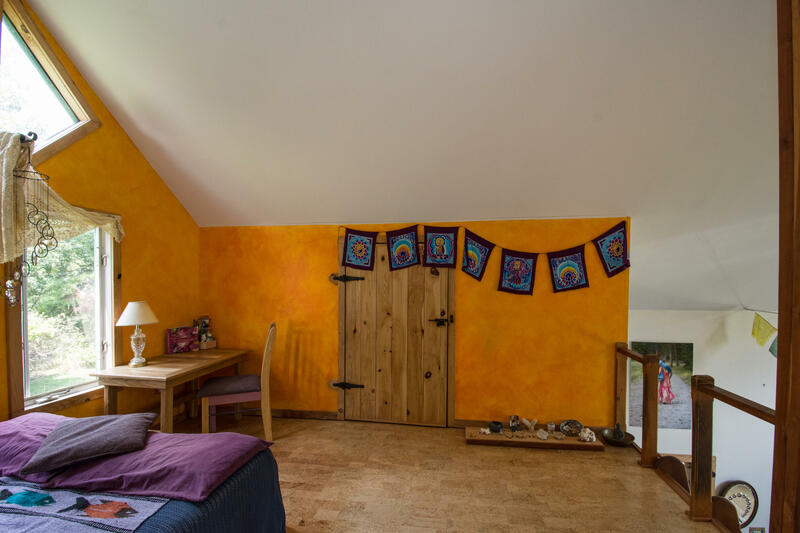 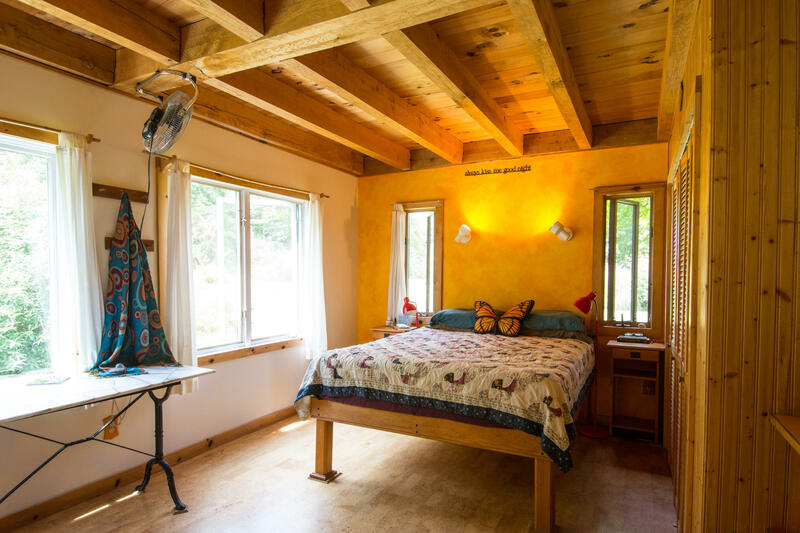 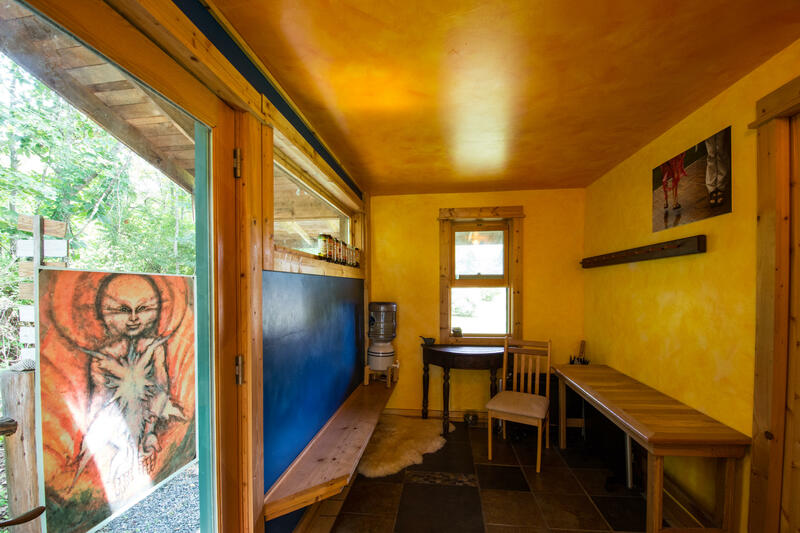 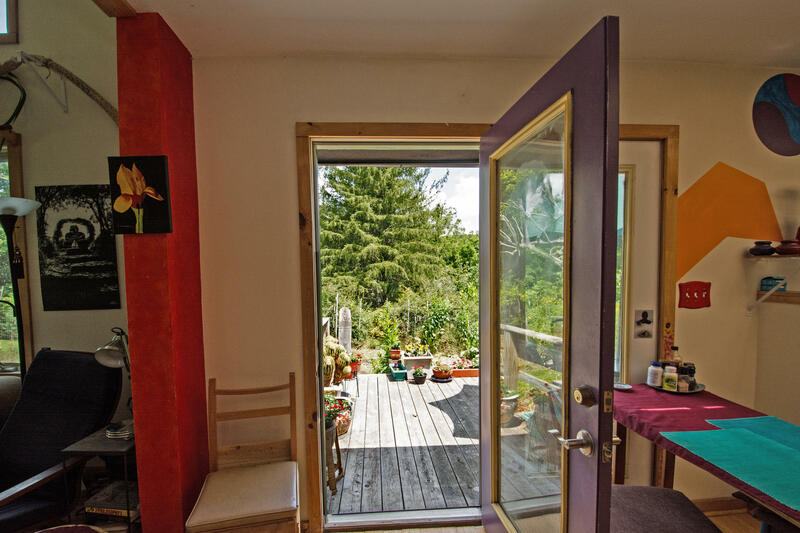 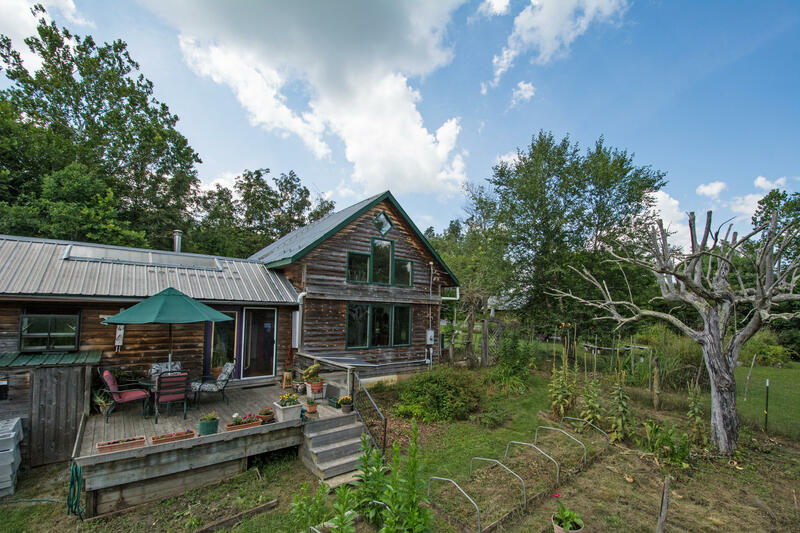 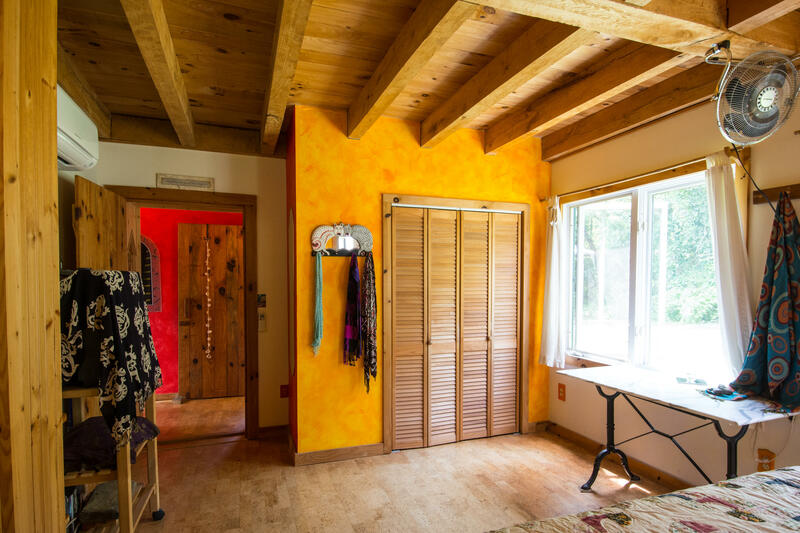 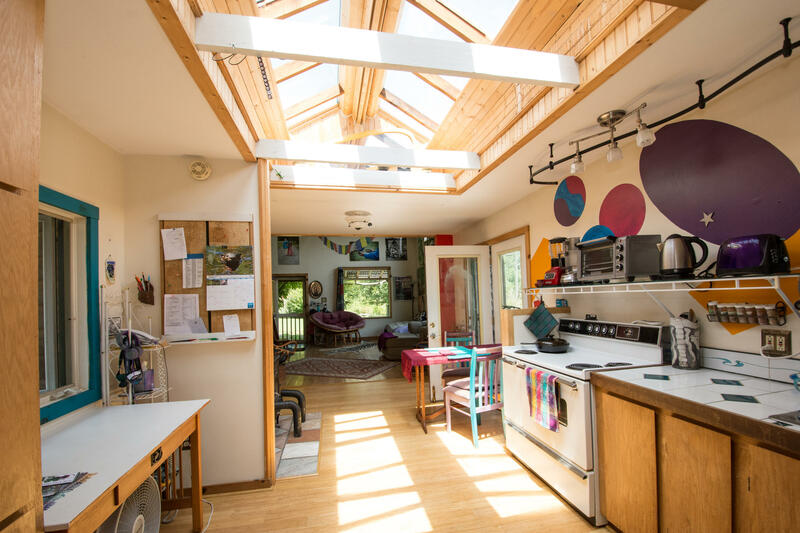 Gardens, orchard, backup wood-stove, and 3 rain water cistern collection systems enhance a sustainable lifestyle. 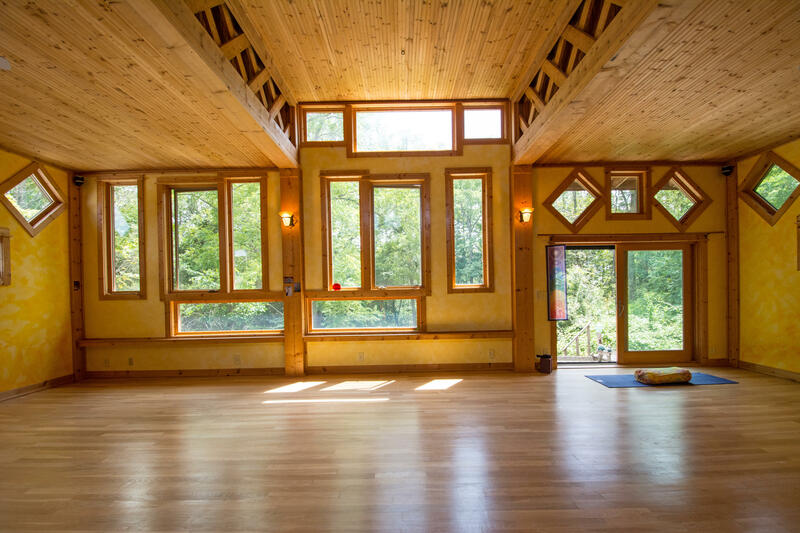 Built with Best Green Building Practices. 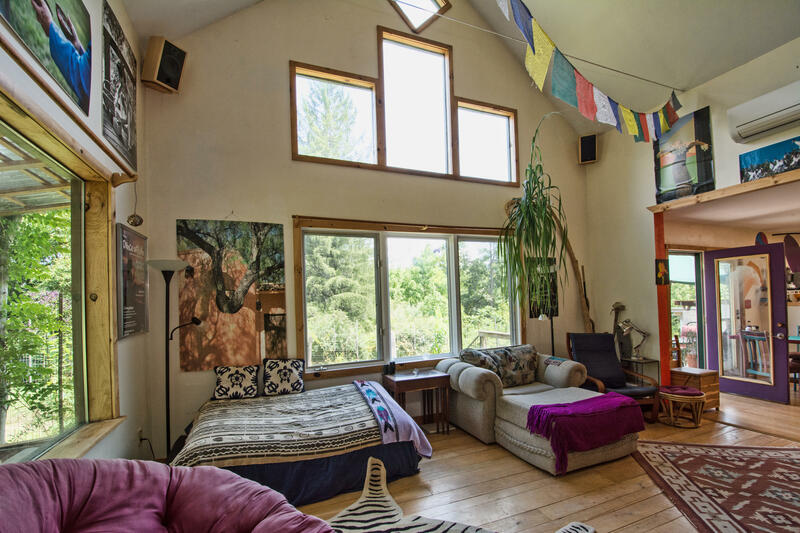 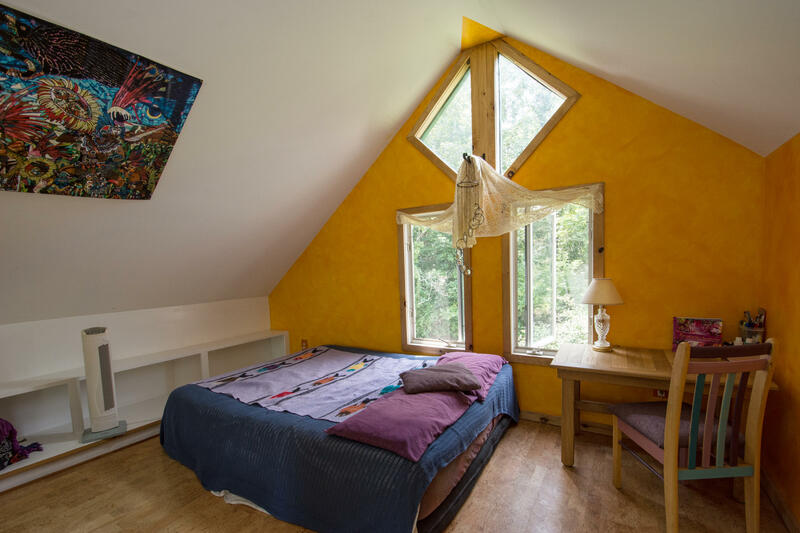 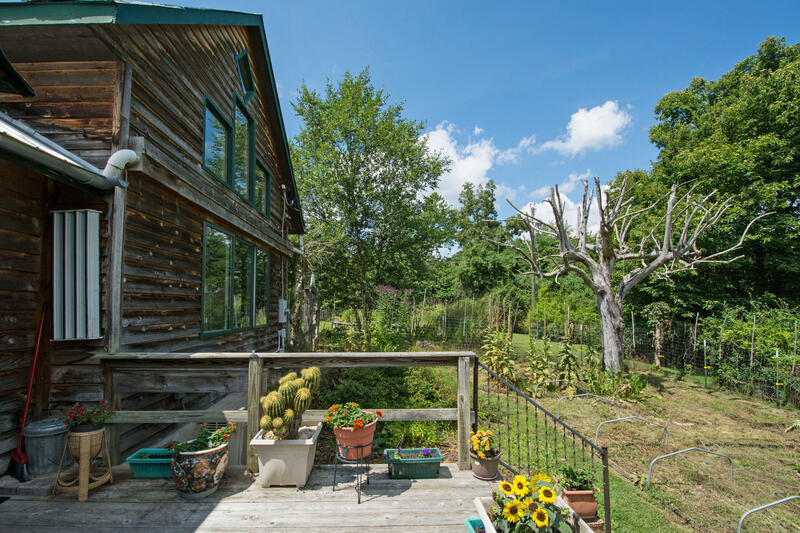 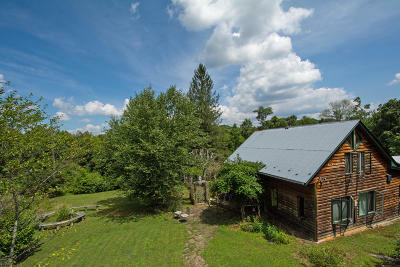 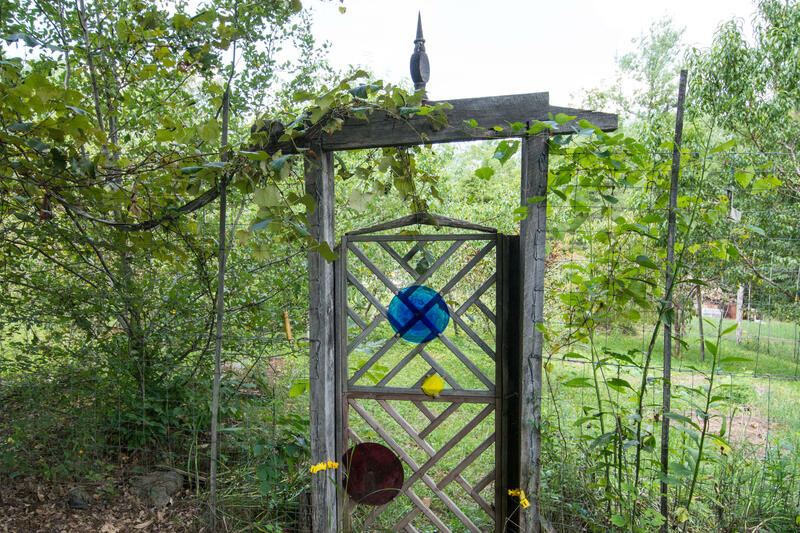 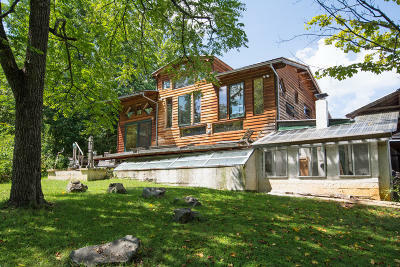 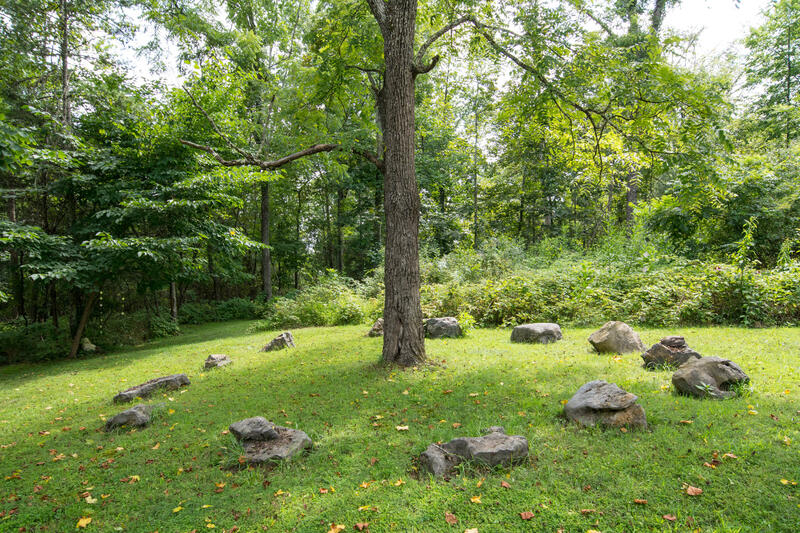 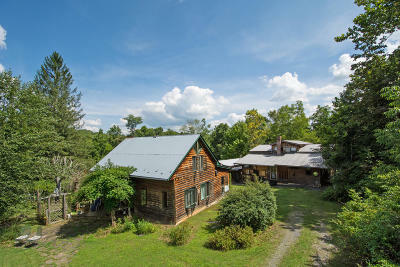 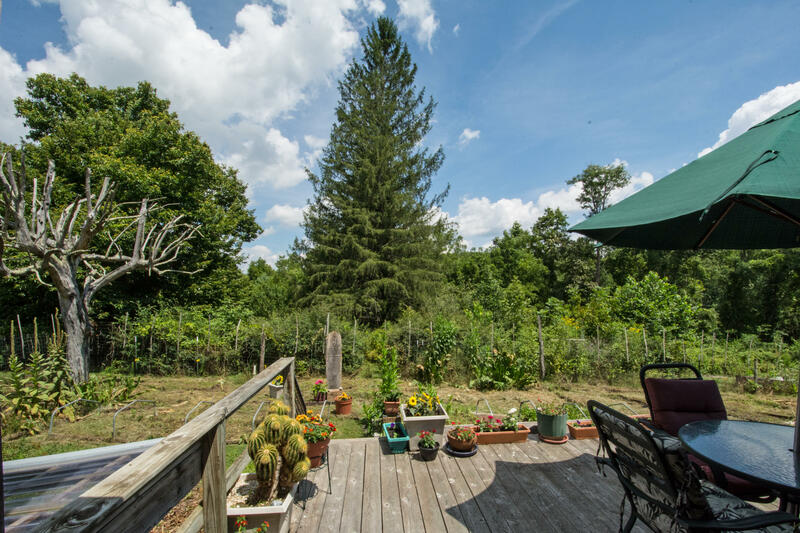 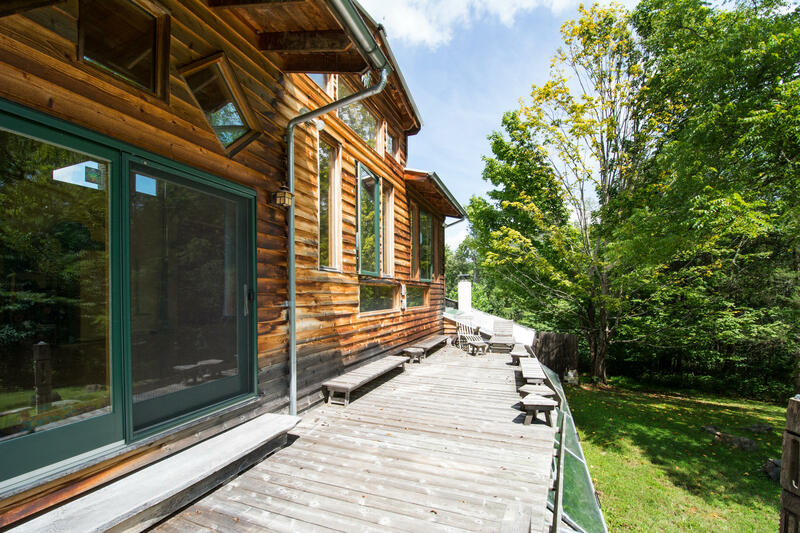 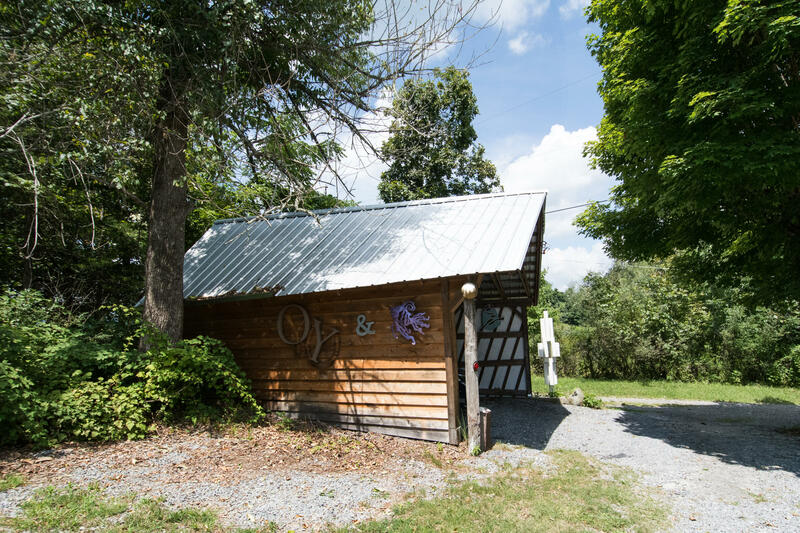 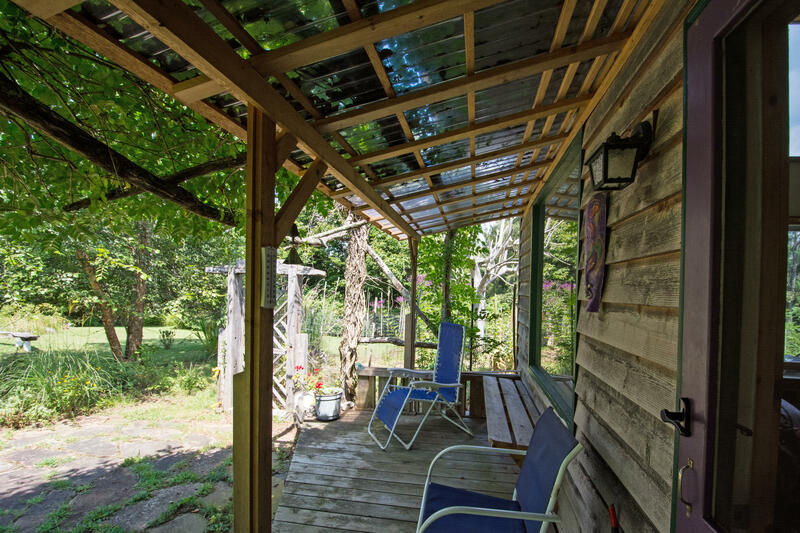 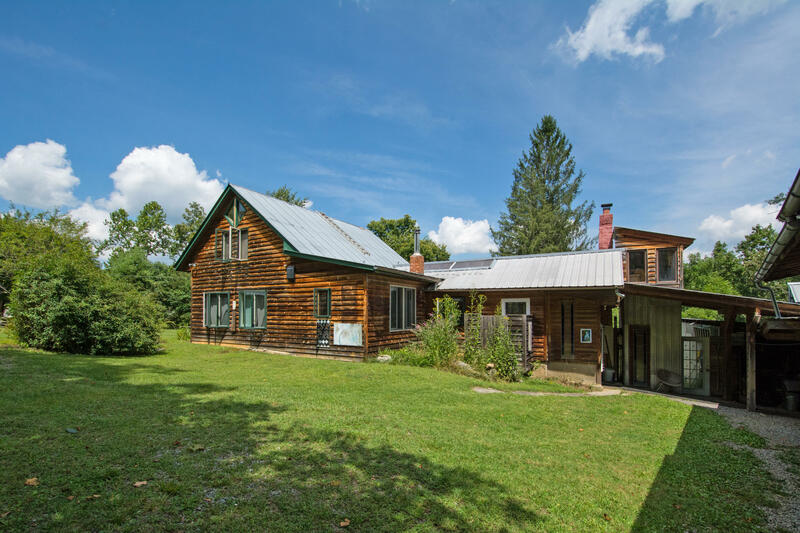 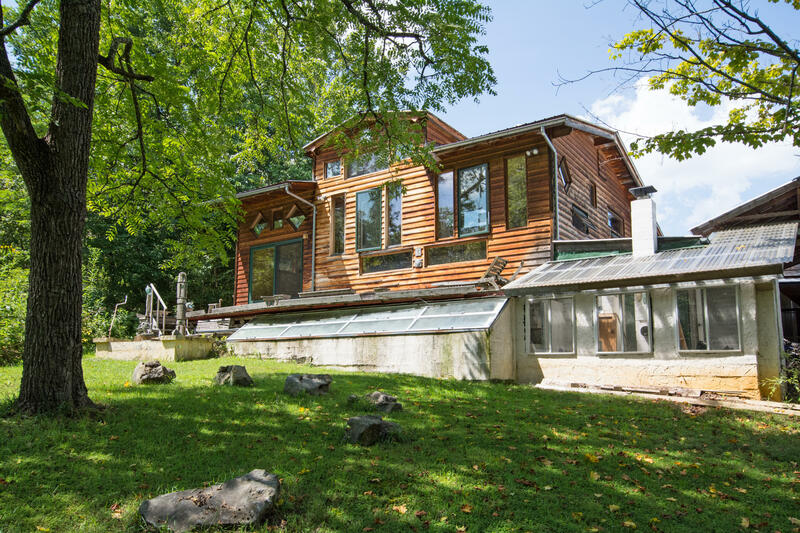 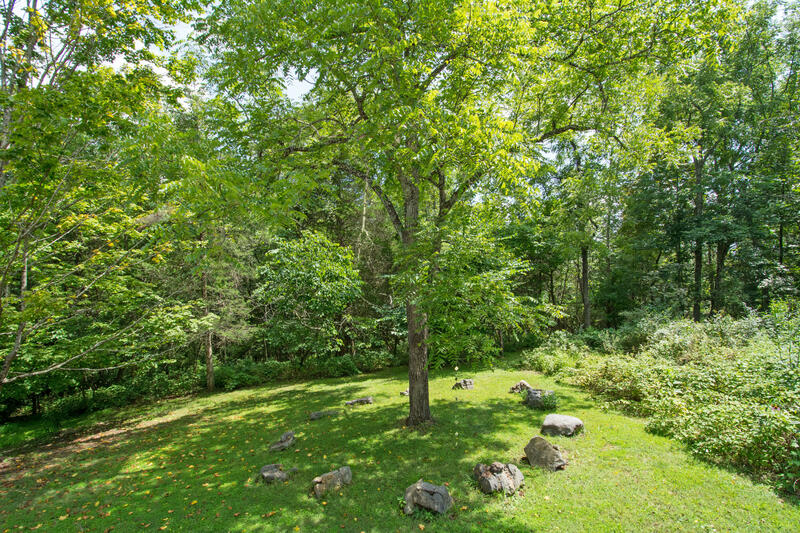 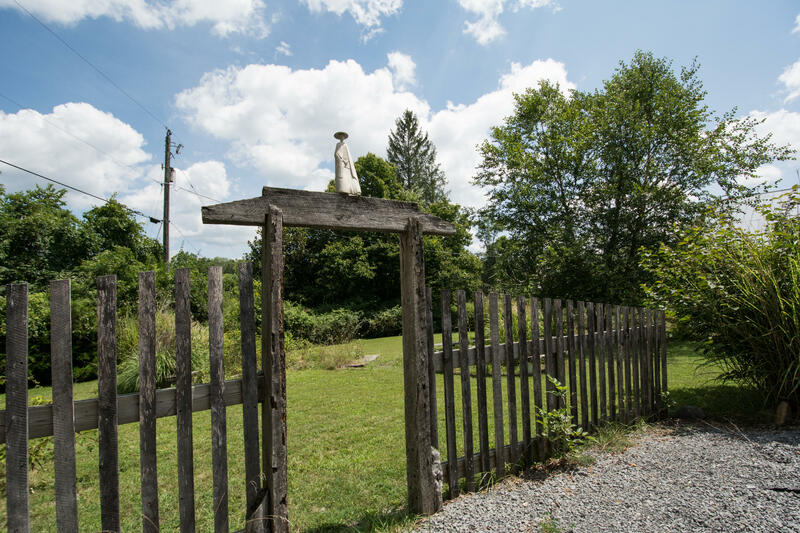 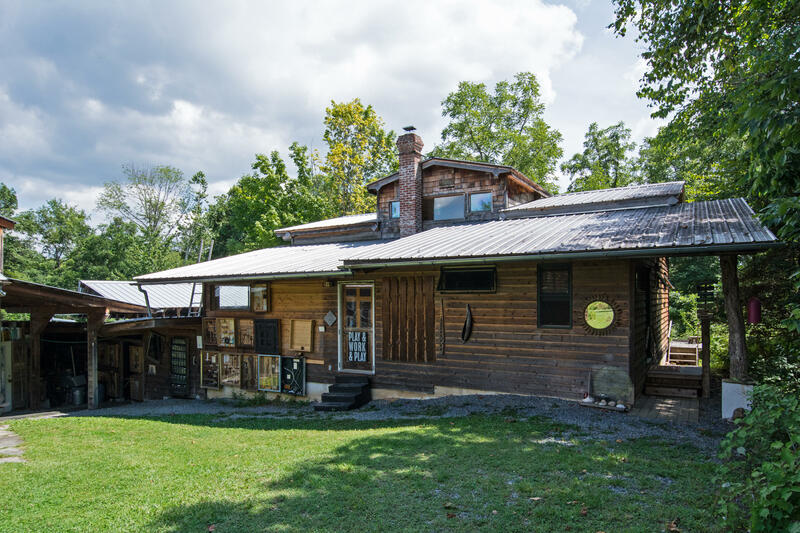 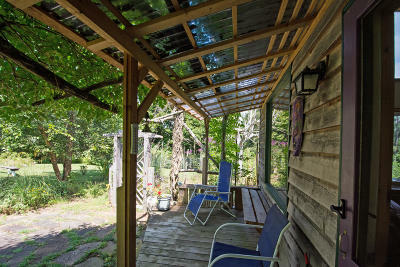 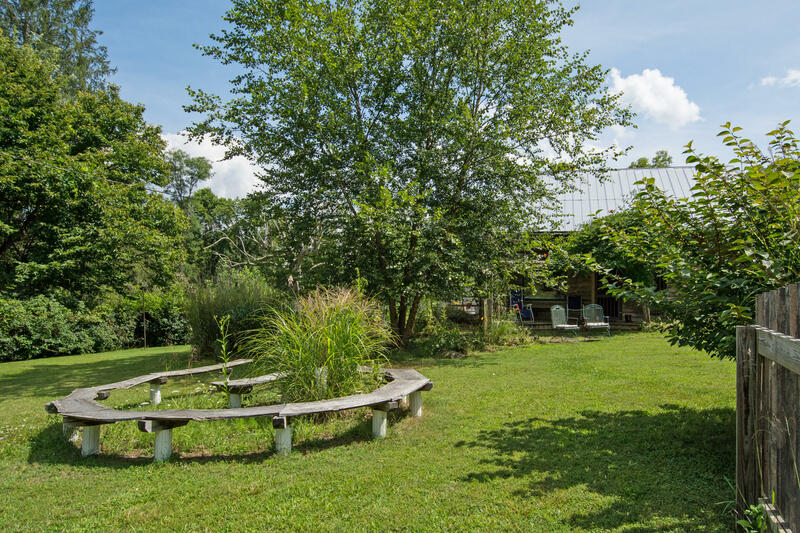 ~1.25 acre property is private, surrounded by trees, and only 6.5 miles from Lewisburg.